It’s Father’s Day afternoon and I am allowed to watch a soccer match on TV while writing a blog post. As a cable cord-cutter, I am streaming the the game on my iMac which is connected to the TV set via a long HDMI cable. By the way, I can’t wait for the Mountain Lion release of MacOS which will include support for AirPlay - allowing wi-fi streaming to my AppleTV. But that might be a topic for another post. Today calls for some lighter reading (and strangely, such posts tend to attract a lot of views). I wrote about my favorite iPad apps a year ago and since I have now been using the iPhone for well over a year, it is time to write about my favorite apps for iPhone. Just like with my article last year, I will divide the list between the top 10 most useful and top 10 coolest apps, remembering that the coolest are rarely the most useful apps. The Starbucks app is very useful for an addict like me and could have easily made it to the Useful List. The cool part is the single-click locator of the nearest Starbucks cafe - a feature I use frequently while travelling. Particularly when driving on a freeway, locating the nearest cup of caffe latte really comes in handy. Of course apps such as Yelp and Around Me serve a similar purpose as the Starbucks app, helping to locate many other useful things such as ATMs, restaurants, gas stations, theaters, etc. Surprisingly, a Microsoft app made it onto my list. While I am not a big fan of the iPhone camera due to its pathetically slow shutter speed, Photosync makes panoramic pictures out of a series of photographs that the app guides you to take. It is easy and the results are cool. And given that everyone needs a decent Facebook banner, the app might even be a little useful. This is a relatively new app that translates the spoken word between about three dozen languages. The recording is sent to an online service that relatively quickly sends you back the translation and plays it aloud. Asking some stranger you can’t understand to speak into your iPhone might have a limited practical use and if you use it abroad where you are most likely to encounter foreign speaking strangers, the data roaming charges will bankrupt you. But the app is very cool. ShopSavvy is an app that reads the barcode tag on any item in a store and tells you where else you can get this item cheaper. While that is very cool, I don’t really bother to compare the price of milk at a grocery store and I do most other purchases online anyway. There is a plethora of other video streaming apps available from NBC to the new Amazon Cloud Player but Netflix deserves the credit for its largest library and best recommendation service. Still, watching movies on an iPhone makes little sense when I have the iPad. Flipboard is basically a very well designed RSS reader which is cool because it uses pictures to navigate the stories. I find myself using my Feeddler more than the Flipboard but Flipboard certainly wins in the coolness category. StarWalk is one of the coolest augmented reality apps. You point it at the sky and it tells you what stars, constellations, and planets you are looking at. The visual experience is simply... wow! 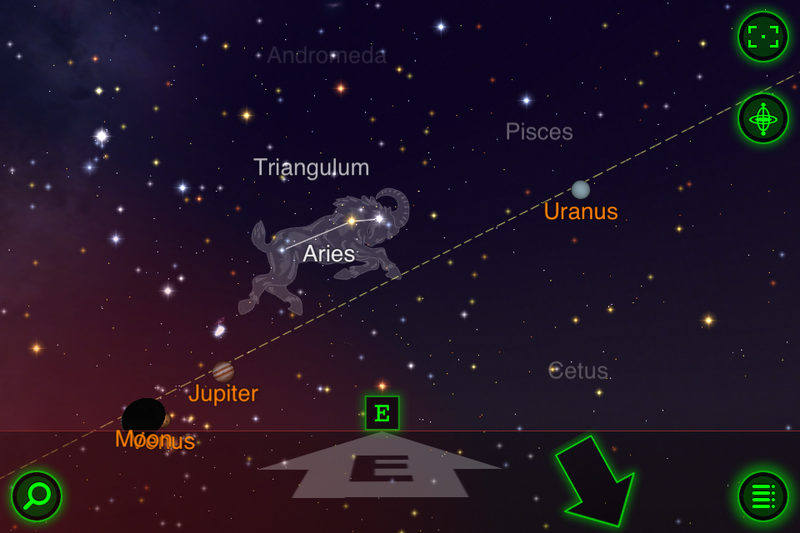 I suppose that the app might even be useful for an astronomer which I am not. But since I am certified in celestial navigation, I have to also mention Planets which is a similar app helping to locate the key planets and stars used for navigation. Controlling your computer remotely from an iPhone makes pretty much no sense whatsoever as the screen size is too small. But the fact that you can is just awesome. There are many GPS based apps for running and other sports. Endomondo stands out because of its combination of run statistics and social interactions. I switched to using a Garmin watch a while ago but I still like importing the data into Endomondo because of the social stuff. I know, this is not that exciting but when travelling, I use the alarm clock every morning. I despise the alarm clocks in hotel rooms that take 10 minutes to set only to wake me up with a squelch. Besides, the iPhone clock adjusts itself automatically for time zones which is very useful. Being a cord-cutter, I am depending a lot on my AppleTV which is an awesome device. The only problem is the tiny little remote control that is just too easy to misplace. Clearly, Steve Jobs figured out a way to keep it away from his kids but I failed to do that so far. The iPhone app Remote helps as it allows me to control AppleTV instead of the lost remote. There are many GPS navigation apps available for the iPhone and I often use this one when travelling. It doesn’t replace my Garmin GPS in the car because the Garmin comes with a holder and it doesn’t require any data roaming but still, it is a GPS I always have on me. I love reading books on my iPad and I actually don’t mind reading them on the iPhone either. Sure, the screen size is small but the app handles it well. The huge benefit is the fact that the phone fits easily into one hand - I can read laying on my back in the hammock with one arm outstretched in front of my face. That’s not possible with the iPad, the Kindle or with a paper book. Thanks to Amazon’s cloud, I always have all of my books with me and the app even remembers where I’ve stopped reading the last time, no matter which device I use. Evernote is an awesome app with a cloud-based syncing of notes between devices. I use it the most on my laptop but having all the notes always with me on my smartphone is particularly useful. Twitter on the iPhone is my trusted companion when on the move. There is always something new to learn about when I have an idle minute and it is a great way to share with others what I’m up to - when I choose to share it, that is. Yep, nothing shocking here - I use the basic apps that Apple included in the iOS all the time. I wish the browser was better and the calendar could use a bunch of improvements too but I use these apps several times each day. Reading my favorite blogs and news sites is part of my daily routine and an RSS reader makes that very easy. 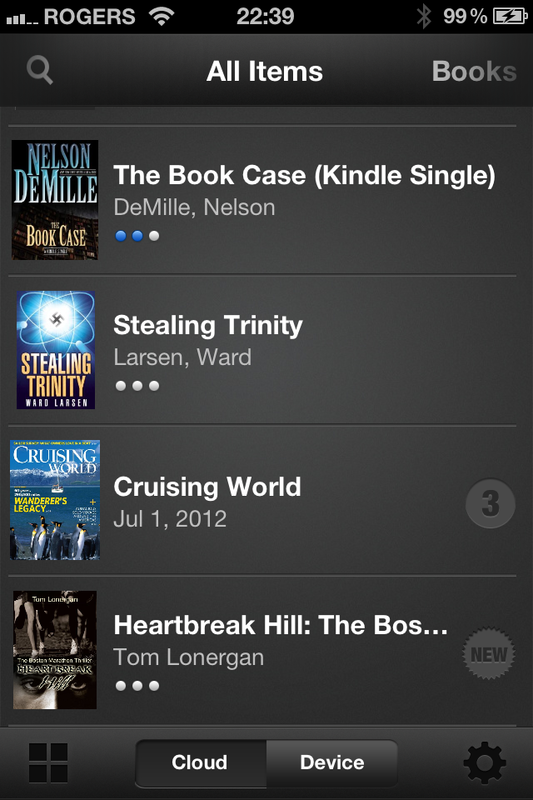 I’ve picked the Feeddler for my iPhone as it syncs up with my Google Reader. That way, I always know which stories I’ve already checked out - no matter on which device. 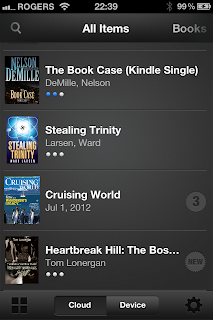 This may be surprising but the one app I use the most is the built-in music player to listen to books from Audible. I have been an Audible subscriber for over 10 years and I am absolutely addicted to listening to books while running, walking the dog, driving or traveling. It is a great way to keep up with my book reading and I love it. Yes, these are my favorite apps for the iPhone right now. By the way, six of the 20 apps above appeared on my favorite apps for iPad list last year although I counted e-mail, calendar and browser separately back then. That suggests perhaps that the use cases for iPhone are quite different than those for iPad. Or perhaps my taste has evolved since. Anyway, which iPhone apps do you like? Please do share your comments! Good list - I always learn something from you. My favs are Starwalk, Goodreads, Facebook, and Sudoku. I sync my calendar and contacts from my PC - trying to figure out if I can do that with iCloud but don't think so. Thanks Joanne! Goodreads is a good and so is Sudoku althogh I am not much of a gamer myself. Tempo for iPhone. All my sales staff is using it and love it! Tempo rocks, Richard, although I use it much more on the iPad than on iPhone. But it works great!